Lisa Freemont Pages: Sponsor Salute! I found a beautiful skinny belt on Etsy that I just had to have! And the shop, By the Belt, has so many other great things. 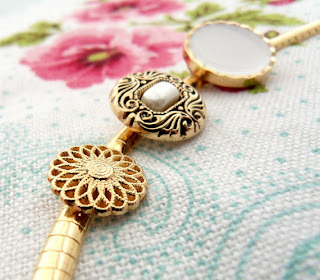 I love Etsy anyway...I mean, who DOES'NT want personal attention and handmade items? But this gal has a jewelry shop called Veroque as well, so she has even more cause for your attention. The pieces are beautiful and classic, with a twist. Visit the link to the right and don't forget to check out my video product review and GIVEAWAY for these shops on Youtube. The Giveaway ends March 10th so there is still plenty of time to enter! So I've been keeping this one quiet but it's time to let it out! This store has a pin curling tool that you MUST HAVE for your all your pin curl sets. I haven't demonstrated it yet on my channel because I need my middy cut to grow out just a little, in order to show you properly. But it's coming, I promise! You will love this thing and I do too. They also offer books for your styling assistance. 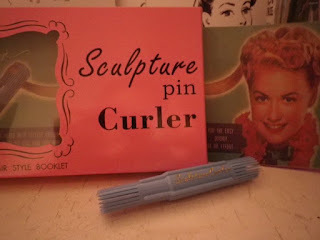 Visit the link to the right to purchase the pin curler and other great vintage tools. The pin curler tool looks amazing! I have a feeling it would come in very handy for me as my hair is down to the middle of my back. But, both of my grandmothers did pin curls in hair this long and they looked beautiful, I don't think they had a handy dandy tool like this though. The Vintage Hair store is here on my page...sponsor column. I saw the Sculpture Pin Curler on IrmgardFury's Channel. It looks awesome! 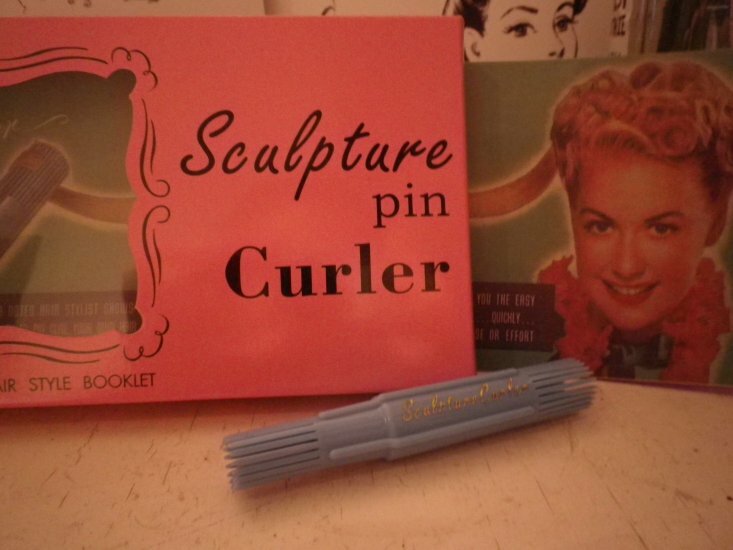 I wanted to order the Sculpture Pin Curler. $35 seemed steep but I was willing. $17.25 for shipping? I cannot pay $52.25 for a plastic pin curler. Are there any alternatives?